A little over eight years ago Istanbul-based Celebi Aviation positioned themselves in the German air cargo market by building and moving into their own dedicated warehouse and office facilities at Frankfurt Airport’s CargoCity South. Much has happened since then - some of it good and some not up to expectations of the Celebi management. Celebi started operations in FRA in 2010 when they moved into their own specially designed warehouse, building 579, at the CargoCity South (CCS). The Turkish company was intent on putting themselves into the German air cargo handling scene and although building 579 was somewhat distant from the airport apron, it met Celebi’s needs for some time and enabled them to gather a notable number of airline customers. During the past couple of years, it became apparent that the CCS infrastructure and the delays at the so called “Transfer Point” to the apron were giving a negative effect on Celebi’s service to their customers. It was in 2014 that the management made a strategic move by acquiring Aviapartner Germany’s cargo handling organisation in Frankfurt and thereby moving most of their export handling into building 543 which has direct ramp access and allows for a far speedier service. In the meantime, most of Celebi’s cargo handling is being done in building 543 and 540 as well as two or three others grouped around the main warehouse. Building 579, where Celebi has a rental contract until 2021 has for the most part been rented out by them to offline cargo agents. It is no secret that handling companies at Frankfurt’s CargoCity South have been having a tough time during the past 24 months because of congestion in the freight handling areas, especially for loading and unloading of trucks. 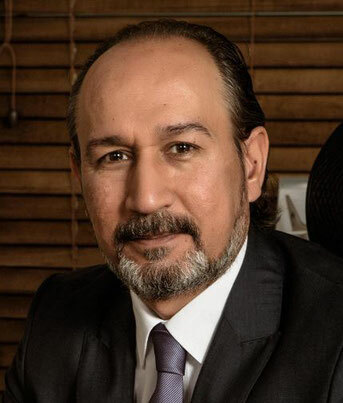 Celebi FRA has also been severely hampered by this and Murat Bas, CEO of Celebi Cargo Germany tells us that this situation, although having got better, is not yet to the satisfaction of the handlers. This he says has prompted him and his team to revamp their cargo handling operation and management structure further in order to allow for a far better customer satisfaction. The restructuring seems to be paying dividends. 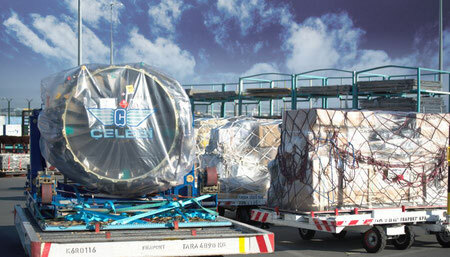 Celebi FRA’s customer base is growing again with the addition of Turkish Air Cargo as a new client. 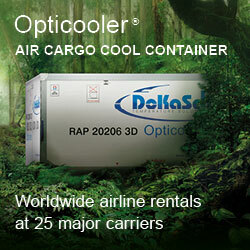 United Airlines Cargo, a long-term Celebi FRA client has also extended their handling contract. This came as a surprise to some in the industry as it was expected that UA Cargo would have to move to Lufthansa Cargo’s handling area due to the much-published cargo joint-venture between both carriers. Although Mr Bas refrains from commenting on this, it could be assumed that Celebi’s revamped service aspects has convinced UA Cargo that they are better off there. Other strong cargo carriers in Celebi FRA’s portfolio include carriers such as Ethiopian Airlines, LATAM and TAP Portugal. Tonnages for this year should reach 145,000 tons Mr Bas informs us. The plan is to extend this to 160,000 tons in 2019 mainly by means of organic growth. Celebi could handle just over 230,000 tons per annum in the facilities they control. There are firm plans to build a cool centre of about 320 square metres within their present handling area in building 540. 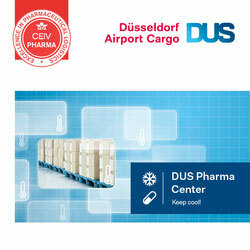 This, they say, will be designed for build-up and storage of pharma related products and other temperature sensitive cargo.